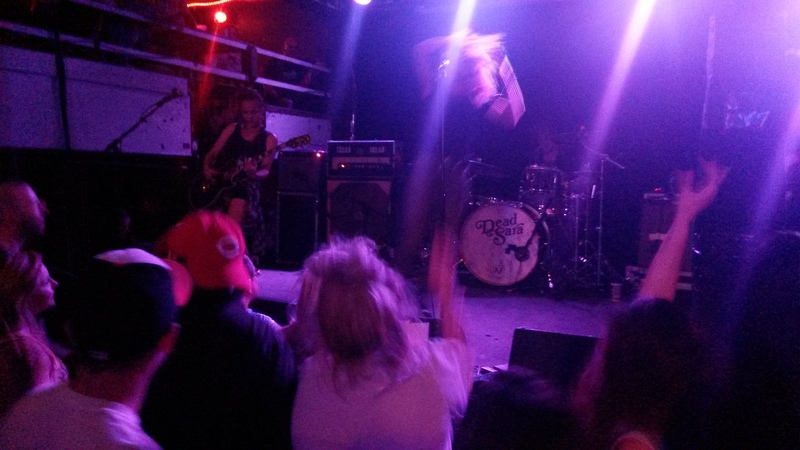 You may remember me writing a few weeks ago about Dead Sara’s new EP, Temporary Things Taking Up Space, and about how Jessie and I went to see them in DC last month. Well, we also saw another band that night, upon whom I am very happy I stumbled. Dead Sara occupies a strange space in music right now, at least for me. I have never heard them on the radio, and when they venture to the east coast from their L.A. home, it always seems to be in smaller venues. But I have trouble thinking of a band that more poignantly encapsulates my general sense of the world as a 29-year-old American. Their first two albums, 2012’s Dead Sara and 2015’s Pleasure to Meet You, provide nostalgia and newness in their sounds simultaneously. Their new EP, Temporary Things Taking Up Space, has achieved the same. Welp, this summer should be awesome. Dead Sara dropped this single in early May with the announcement that they’ll be releasing a new EP, Temporary Things Taking Up Space, on June 8. There’s been a bit of a lull in Dead Sara’s music releases ever since bassist Chris Null left the band in 2017. I had assumed that their next single would feature a new bassist with largely the same overall sound. “Unamerican” comes as a three-piece where the lack of a bass guitar is never felt. Emily Armstrong’s wailing combined with Siouxsie Medley’s distortion-laden riff achieves the same overwhelming feeling as their older songs. Sean Friday continues his run as my favorite drummer with his energetic playing. I don’t know if Temporary Things Taking Up Space will include any bassist, even as a studio performer. I hope not. I want to see what they do with the pieces they have. Judging from “Unamerican” and “Heaven’s Got a Back Door”, Dead Sara will get on just fine. Deadlines and the end of an era.